Riley, a Weimaraner, reported to work on Wednesday. You've heard of drug-sniffing dogs. But bug-sniffing dogs? Yes, they are part of the canine workforce too. 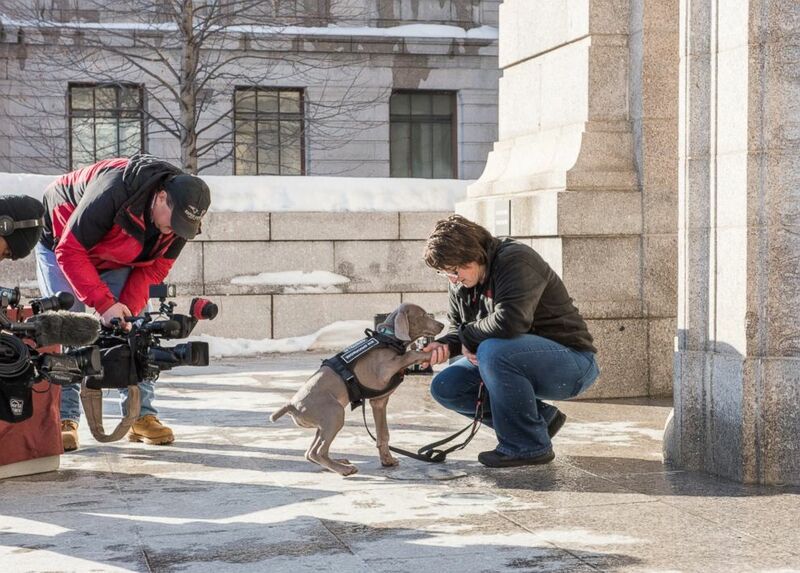 On Wednesday, Boston's Museum of Fine Arts introduced its newest employee: Riley, a Weimaraner puppy, who is being trained to sniff out bugs and other critters that could potentially damage valuable artwork at the museum, reported ABC affiliate WCVB. (Twitter/MFA) Boston's Museum of Fine Arts introduced its newest employee, Riley, a bug-sniffing puppy on Jan. 10, 2018. The museum's deputy director, Katie Getchell, told The Boston Globe that insects are an ongoing concern for museums. Riley will add another layer and help sniff out pests that humans can't see. 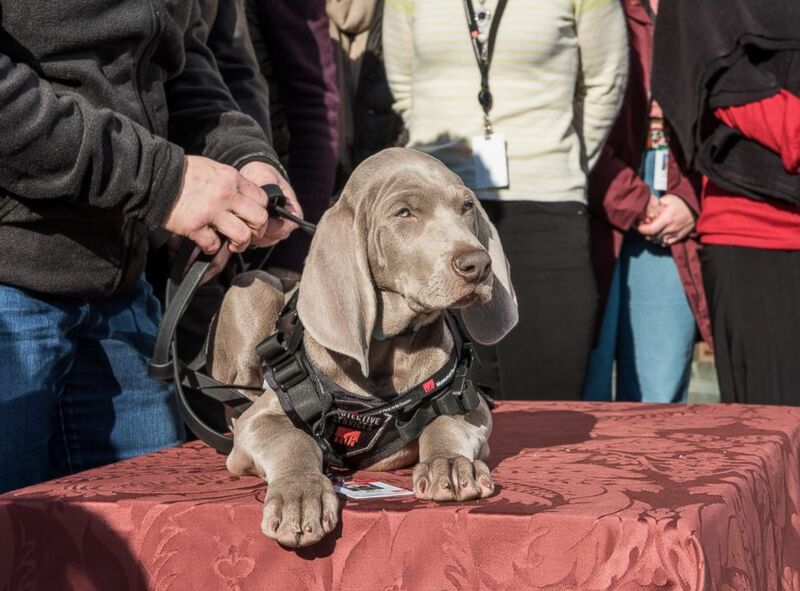 "Weimaraners are incredibly smart and have a powerful sense of smell," said Nicki Luongo, director of the museum's protective services department, at a press conference Wednesday. Riley won't live at the museum, either. He will live with Luongo instead. Although Riley seemed to relish the attention he received at his first work event, the museum said visitors won't see the pup roaming the halls along with the Monets and Rembrandts. He will be used behind the scenes. And it seems like Riley was born to do this work. The American Kennel Club said Weimaraners have "good scenting ability, courage and intelligence" and are "excellent game hunters." Even if the hunt is for bugs.